By now it’s probably becoming quite obvious that I have a thing for macadamias. Indeed I do! They are of course extremely delicious and I have always loved them, it would almost be un-Australian not to (unless you’re intolerant or allergic), but largely my using macadamias in many of my recipes is due to histamine intolerance. I keep touching on histamine intolerance and I’m avoiding writing a longer post on it until I have more time to delve into the detail. It is extremely complicated and so far, very little research is showing the cause, how to manage it etc. There are a number of histamine containing foods lists on the internet too however, very few of them agree on what contains histamine, what liberates histamine and what foods are generally safe. I have found one list that was quite comprehensive, which is what I use as a base then I just add or delete things from the list that don’t affect me personally. My main aim is to keep as many foods as possible in my diet because I think severely restricting anything is not good in the long run. Yes, gut issues are at play and I’m working on that with two wonderful Naturopaths (details at the end of the post) and I recommend anyone with gut issues do the same. Two Naturopaths is my choice and not at all necessary but as a student of Naturopathy, I have found it interesting to work with two incredibly talented people who approach the issue slightly differently, and who work together brilliantly. So back to macadamias. They are the only nut listed as histamine friendly and I’ve tried them all to confirm this is true for me. Yes, I do have almond milk when I’m out at cafes because I’m intolerant to dairy and that is better for me personally than soy. I have also found that almond milk doesn’t affect me anywhere near as much as eating straight almonds. It’s a balancing act! But in the end, macadamias cause no histamine reaction whatsoever, so they are my absolute preference. Given the cost of macadamias in Australia, macadamia milk is a pricey thing to have in the fridge. In saying that, it’s an essential item for me if I want to add it to teas, make a warm, milky beverage or use it in recipes so it’s a cost I’m happy to pay. I do however want to get maximum benefit from money spent so every inch of pulp from the macadamia milk gets used up for snacks! I’ve given one idea on how to use pulp with the recipe below, but will also add more in future. If you’re managing a histamine intolerance I’d love to hear from you about what does and doesn’t work for you. Combine all ingredients into a blender or Thermomix and blend for 2 minutes. In the Thermomix I did this on speed 9. 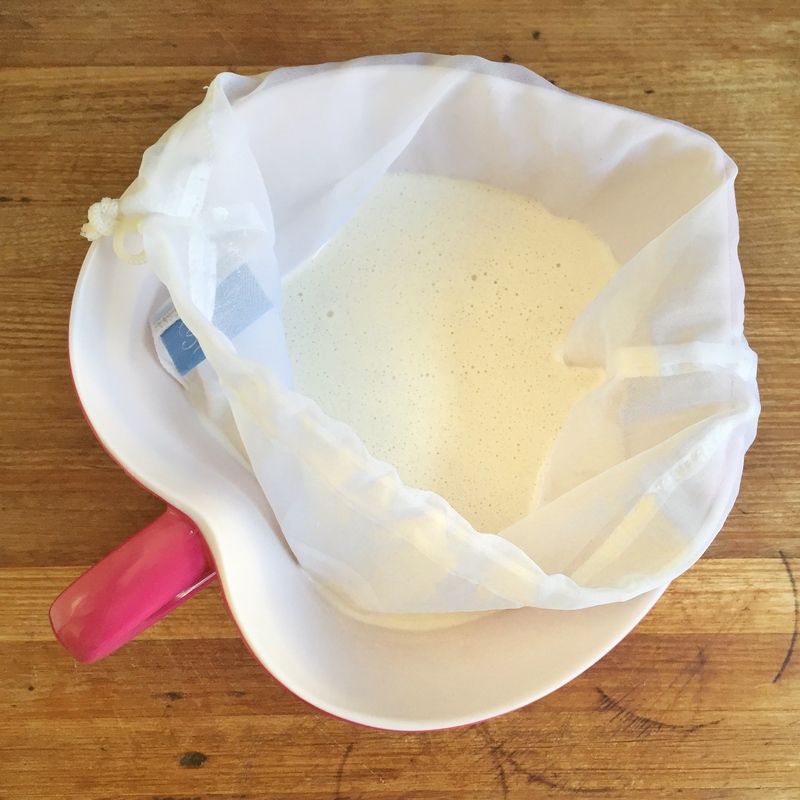 Place a nut milk bag over a bowl or large jug. 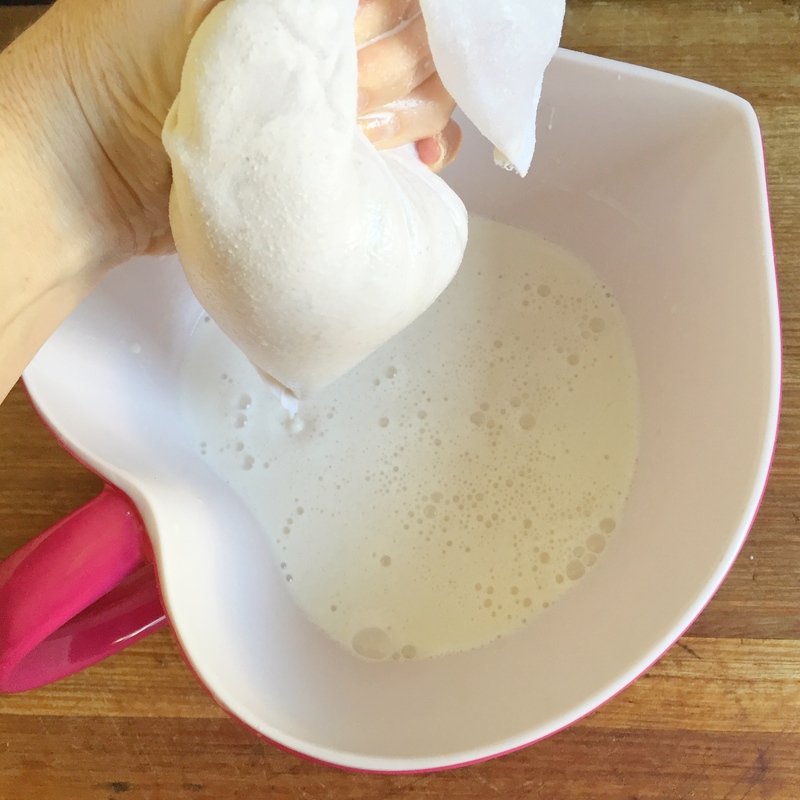 Pour the milk through the nut milk bag, close it up and squeeze the bag until all the liquid has been extracted and you are left with the pulp. You want to get the pulp as dry as you possibly can. Pour the macadamia milk into a glass bottle or jar and store in the fridge. Keeps for 4-5 days. 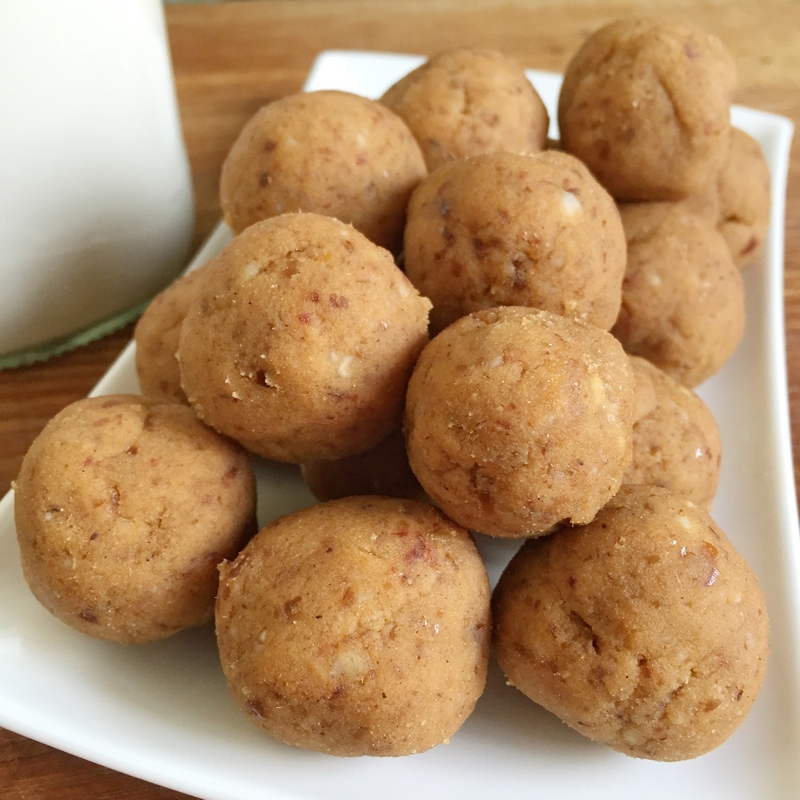 Keep the pulp aside for snacks like the following salted caramel bites or keep it in the freezer for future use. 1/4 tsp salt (or up to 1 tsp if you haven’t used the salted macadamias). I would encourage adding the salt slowly and tasting as you go. I’m not averse to a little salt but know it’s not for everyone! Combine all ingredients in a blender or Thermomix and blend until the mix is fudgy enough to pinch together so it sticks. In the Thermomix I did this on speed 7 for 10 seconds. 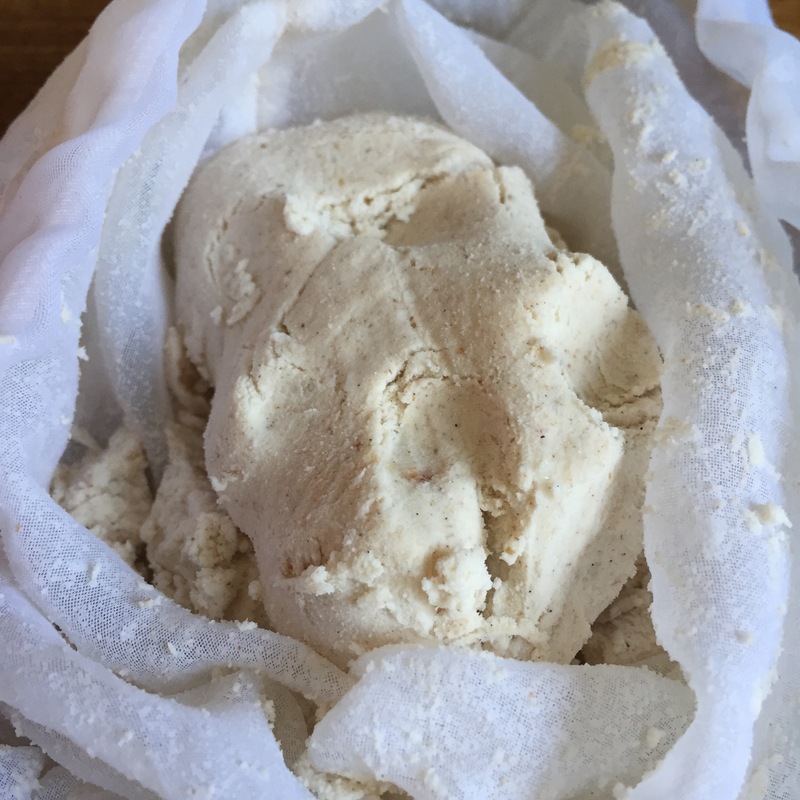 Place in the fridge for an hour to firm up a little and also store in the fridge. I love that you post all these wonderful things at LUNCH TIME!! You make everything sound easy and delicious, Gab, well done.